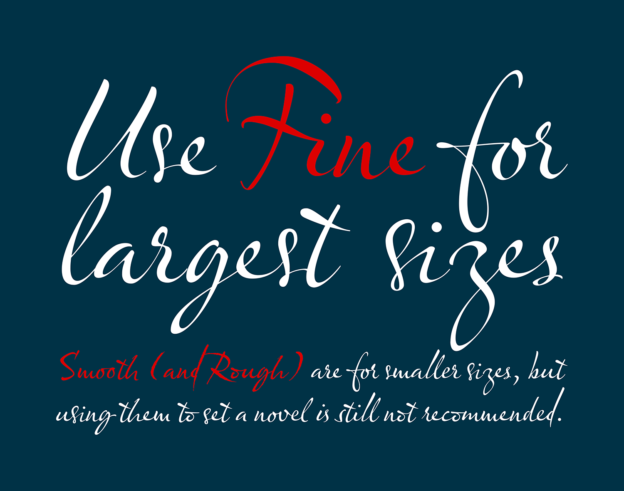 Hands for all sizes: Script typefaces with size-specific variants | Isoglosse. This list is probably incomplete, so please let me know in the comments or on Twitter what is missing. Thanks to Reed Reibstein, Studio Het Mes, Akira Yoshino, Jens Kutilek and Typotheque for suggesting additions to this list.